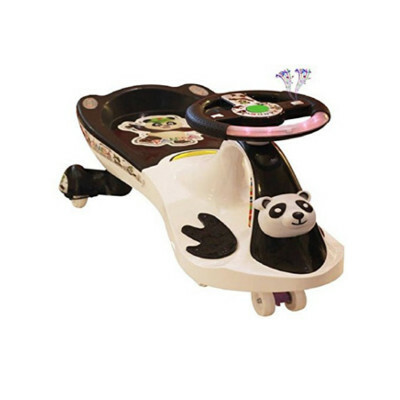 Description: Let your child have fun driving the Panda car baby ride on car. Designed inspired from the famous cartoon character FROG. It has appealing colours with the stickers, this baby car is sure to attract the attention of your little one. This baby ride-on car features a car steering with Effortless movement. Your child will enjoy using the car steering while going on imaginary trips.